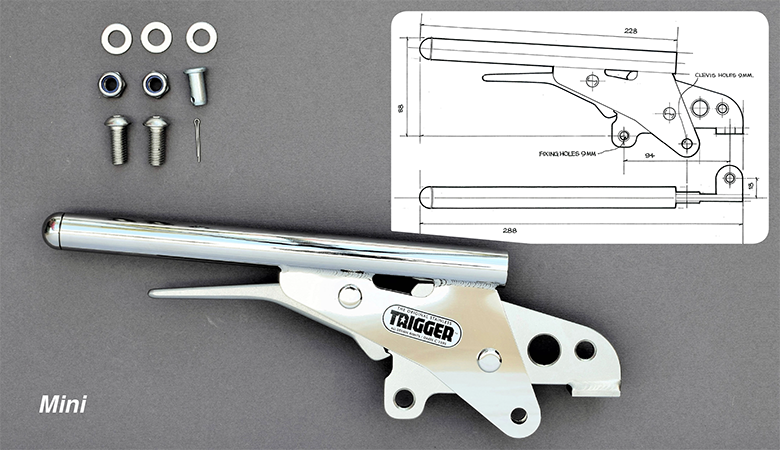 This Trigger handbrake is a straight replacement for the standard single-cable classic Mini unit; the ultimate interior feature for your classic, modified, custom or racing Mini. These handbrakes are also factory- fitted to Ultima Cars. Includes: stainless fixings as pictured. Weight:640gms.